Just because your jet ski is smaller than a fishing vessel, motorboat, or yacht does not mean that you are invisible. Unfortunately, we hear, “I didn’t see him/her,” all the time from the negligent party. While this is a common excuse of negligent water vessel operators, it is not a valid excuse. All operators must keep a vigilant lookout, meaning that they are constantly scanning in every direction as they go, all the while making sure to give right of way, slow down, or avoid other water users. According to the U.S. Coast Guard Rule 5, “Every vessel shall at all times maintain a proper look-out by sight and hearing as well as by all available means appropriate in the prevailing circumstances and conditions so as to make a full appraisal of the situation and of the risk of collision.” Lack of a proper lookout is one of the most common causes of collisions at sea, in rivers, and on lakes. It is a common misconception that all jet skiers are reckless adrenaline junkies. Many jet ski operators are respectful, highly skilled veterans of the activity and handle their watercrafts with care, concern for others, and precision. However, there are plenty of bad apples. New jet skiers may not have a handle on the power and acceleration of their jet ski, while some people are just plain reckless. If you were struck by a jet ski that was doing dangerous maneuvers, speeding, cut you off, or failed to give right of way, you may be able to collect financial compensation. End up holding a serious grudge against that person because you let them off the hook, which will inevitably ruin the relationship. It is best to hold the negligent person responsible for their actions so that you do not suffer the consequences. If you were involved in a jet ski accident, you may be entitled to financial compensation. 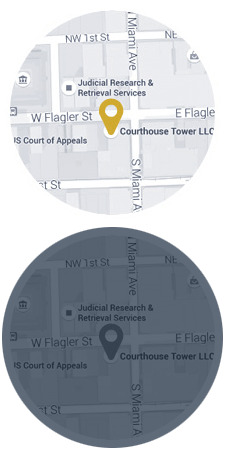 The compassionate attorneys at the office of Michael F. Guilford, P.A. are here to make sure that the negligent party is held financially responsible for your injuries and other damages. 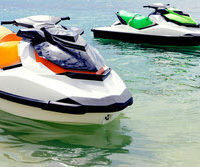 Our Miami law firm offers legal assistance whether you were the operator of your jet ski, a passenger, or were a swimmer, kayaker, motor boat operator, or other water vessel user and you were injured by a jet ski operator.